Pereiaslav College (Переяславський колегіум; Pereiaslavskyi kolehium). A secondary school in Pereiaslav (now in Kyiv oblast) founded in 1738 by Bishop Arsenii Berlo. It was located on the territory of the Resurrection Monastery. It was founded to prepare Orthodox clergy. The program of study lasted six years and closely followed that of the Kyivan Mohyla Academy. The students at the college were mainly children of the clergy and of Cossack starshyna, although some were the children of burghers and villagers. The college also boarded students. The courses of instruction included Polish, Russian, Greek, Latin, poetics, dialectics, rhetoric, history, vocal music, geometry, and arithmetic. Courses in philosophy (1774) and theology (in the late 1770s) were introduced, and in 1785 a branch of the college was transferred to Novhorod-Siverskyi and reorganized into a seminary. The Pereiaslav College subsequently curtailed all secular instruction and became a theological seminary. 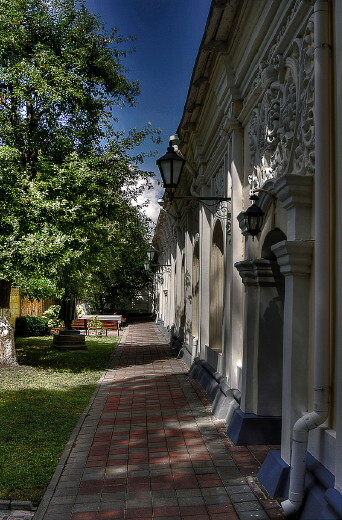 In 1862 this seminary was transferred to Poltava. In 1972 a memorial museum dedicated to Hryhorii Skovoroda, who taught poetics at the college in 1753, was opened on the grounds of the college. Other prominent teachers at the college included Ivan Kozlovych, Ivan Levanda, and Varlaam Shyshatsky.